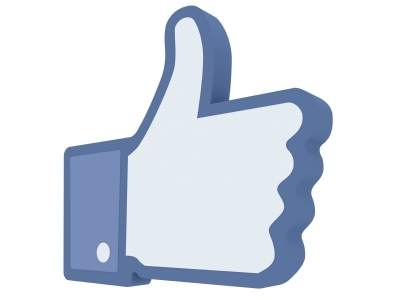 If you haven’t reviewed or updated your Facebook Page recently, it’s time! Reviewing and updating your Facebook Page should be a scheduled re-occurrence. Here are 9 tips to help make sure your Facebook Page is optimized. This prime location provides you with an opportunity to get creative with your cover image. You can display your web address, add a call to action, or add something that draws attention to your tabs. Make sure to take advantage of this. A helpful hint is to not let the text on the cover photo exceed 20% of the cover image area. Your profile image is the first thing a user sees when they look at your company page and your posts. The logo will help reinforce your brand, and be simple, clear and easily identifiable. It should not be a picture of the business owner and if possible a square-designed image should be used. A helpful hint is that your profile image should be uploaded at a size of 180 x 180 pixels (Facebook downsizes it to 160 x 160 pixels). Your tab thumbnails appear below your cover image and lead to the apps on your Page. Optimize your tab thumbnails to capture your visitor’s attention. Do this by using simple fonts and use a shorten call to action. Facebook apps are a great ways to boost engagement on your Page. Apps offer your visitors incentives and an interactive platform, which can boost your engagement rates. They are mostly used for running contests and offering deals and should have a sign up list for eNewsletters. Helpful hint: be sure your contest and deal meets Facebook’s promotion guidelines. Your Facebook Page utilizes a brief description of approximately 155 characters that displays below the cover image and the profile image at the top of your Page. Maximize your short description by providing a concise, informative statement, with your website URL. Be sure to complete the Company Overview, Description, General Information and Mission sections. The About area(s) are indexed by search engines and should contain relevant keywords. Also, be sure to include your address in the General Information to optimize for local search. If you’re a local business with a physical brick-and-mortar location, this is very important. You want customers to come and visit your place, so be sure to optimize your category and Check-in option. It is recommended that companies and Page managers review your settings, managers and notification settings occasionally. Responding to comments, posts and messages I recommend keeping all notifications on. This is the key to good online customer service. If your community is engaging with you, be sure you respond to them! This is a helpful hint as it’s a new Facebook feature (released in March 2013). When this feature is enabled, it allows Pages to offer their community the ability to reply to a specific comment in a thread resulting in better interaction around a comment. Now these are some good ads! Insight is not something that consumers ever knew before. That would be knowledge not insight. It’s not data or fact about your brand that you want to tell. Oddly enough, Insight is something that everyone already knows. Insight comes to life when it’s told in such a captivating way that makes consumers stop and say “hmm, I thought I was the only who felt like that”. That’s why we laugh when see the way that insight is projected with humor, why we get goose bumps when insight is projected with inspiration and why we cry when the insight comes alive through real-life drama. If this doesn’t get you motivated I don’t know what will. Either way who doesn’t love some good ole’ fashion business competition. If you don’t think your website is ready to compete, update it now. What is the first thing people search for online? Your website. Even though your open light may not be open 24/7, your website and online campaigns are – make it count. Updating content online is cheaper, quicker and easier than with print material. It also provides you with the ability to provide more comprehensive information and will save your on expensive printing and distribution costs. Through the use of the internet (and an online strategy) you can be a global player and potentially increase your reach. Easily achieve this by providing answers to questions on your website, FAQ’s, online forms and documents. My personal favorite is when companies offer customer service via social media. Being available around the clock will help you increase accessibility, visibility and customer service as a result. A professional website and campaign, can help a small business build credibility, instill confidence and look bigger than you might actually be. Having a professional online look can also help you drive boost online sales and conversions. Gather customer information by using forms and surveys and let the leads come to you. I recommend building a marketing content strategy to complement this tip as well. Nothing beats social media, when trying to establish an interactive dialogue with your customers. People are busy and don’t like to wait for a response. There are many different social media platforms in use today. For help selecting the right one, read my previous blog post by clicking here. 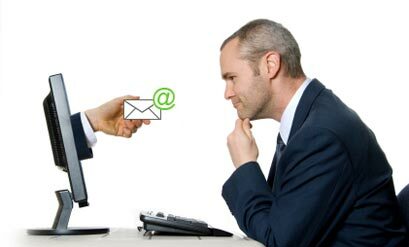 Email marketing is a very effective and popular tool to help promote your company, brand and everything associated. Here are 5 quick tips to quickly help improve your email marketing campaign. Simply put this is branding 101. Consistency is the ultimate key to your brand recognition and to its success. By using consistent font sizes and colors you can achieve a clean and professional look for your newsletters, while also making them easier to read. There should also be a noticeable size difference between article headlines and your text. This will help increase your reach and drive results. Cross-promotion between your networks is essential. Utilize all your channels including Social Media, which can be easily integrated into your email marketing campaigns. Also, be sure to use URL’s to link your eNewsletters to valuable online content. Credibility is king and that makes content the queen. All of your marketing, including your eNewsletters, should be consistent (tip #1) and this includes your brand and logo colors. Your eNewsletter’s colors should resemble your company and should always contain your logo. This step can help ensure that your recipients recognize your company as soon as they open the email. Don’t worry though, different colors can still be used, just use them sparingly. As with all marketing endeavors (both on and off-line) photos and videos foster engagement and can help make your content go viral. Use them well. “How long should an email be?” It’s best to use your own discretion, but you should be mindful of the page fold (e.g. any content that you must scroll to read). Also, the longer the newsletter the greater the chance of your content not being read. If your emails and articles are ending up very lengthy, I recommend using a teaser or a lead-in with a read more link to a website (or a document). This can help you reduce the length of your eNewsletters and will also help you gauge engagement through click-through reports. Want to know more than 5 tips? Ready to get started? Contact me at Marketing Directions for more information and for personalized assistance.